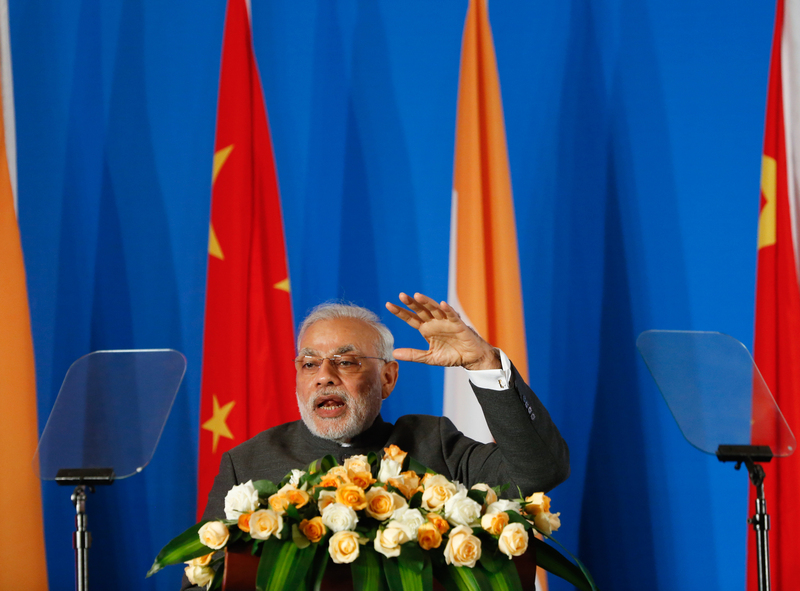 Indian Prime Minister Narendra Modi speaks during his the India-China Business Forum in Shanghai, May 16, 2015. Mohan outlines major points of tension dominating China-India relations, including territorial disputes, China’s encroachment on India’s traditional sphere of influence, and Beijing’s increasingly close relations with regional rival Pakistan. He says an agreement to not escalate areas of disagreement and recognize that a stable China-India relationship would be positive forces for the region were two major takeaways from the Xi-Modi summit. On the Belt and Road Initiative, Mohan explains that while India is concerned about Chinese activity in their sphere of influence, connectivity is central to India’s national interests. This leaves space for cooperation on bilateral projects to ease India’s concerns about the initiative and build trust. Initial outcomes from the Xi-Modi summit point to encouraging developments on both sides, Mohan says. Chinese state media softened its rhetoric on India, while Indian policy reflected greater willingness to change the nature of their relationship with China. The challenge that remains, he argues, is how to translate new understandings between Xi and Modi to the bureaucratic level.